If New York is the city that never sleeps, then you can imagine New Yorkers’ need for caffeine. True, there’s a huge fan base for caffeinated teas or green juices for that extra energy boost, but nothing beats a good old coffee stop. And while we’ll never be rid of Starbucks and Dunkin’ Donut fans, there’s been a recent push in NYC for smaller, locally sourced coffee spots. The usual city life option is to grab a coffee to drink on the subway, but there’s something enticing about a warm café where you can sit with a friend and chat over an artful ceramic mug of brew. We’ve rounded up some of our favourite New York coffee shops, both new and old, for the next time you need a little caffeine buzz to keep up with the fast pace of New York City. 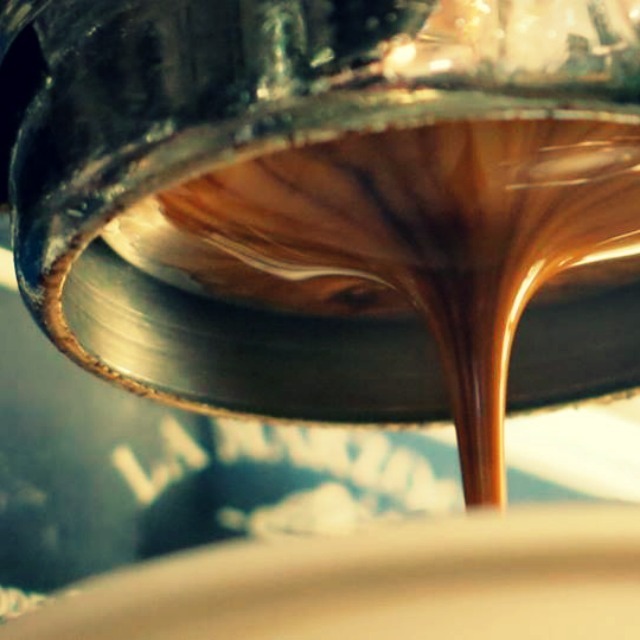 Since 1948, Emanuele D’Amico has had his Court Street brownstone shop in Carroll Gardens, Brooklyn, creating custom blends of the finest coffee beans with a rich aroma. Today, Signore D’Amico’s grandson, Frank Jr., runs D’Amico Foods with his wife, and you can find imported Italian goods along with their famous gourmet coffee. You’ll find light roasts, dark roasts, flavoured, and organic (and fair trade certified) coffees, all roasted in small batches. Grab some to go or stay a while with your cup. Just a few stops from Times Square on the 7 train is the incredibly diverse Queens neighborhood of Sunnyside. Past the imported Greek and Armenian goods (and fresh baked sweets! ), you’ll find Baruir’s Coffee with its incredible coffee menu, available to order out or for grabbing a cup to sit. At this neighbourhood staple since 1966, you’ll find that the coffee beans are always sold fresh, roasted daily to be sold within 24 hours. After starting out with a small café off Union Square in the ‘90s, the shop owners became frustrated with the lack of truly handcrafted coffee available, so they decided they’d just have to start roasting their own. Converting a farm in the Hudson Valley (just north of the city) into a roasting facility, they created Irving Farm where they are able to carefully select farmers — and maintain a direct relationship with them. Their coffee beans come from as far as East Africa, Latin America, and the South Pacific They carefully assess each crop before roasting to determine how to bring out each individual flavour. You can grab a cup (or a bag to take home) from several locations in NYC including Gramercy, the Upper West Side, and Grand Central Terminal. At this Dumbo, Brooklyn, eco-friendly café, you’ll find high-quality selections that are Fair Trade, Rainforest Alliance, and Organic certified, sustainable coffees. Brooklyn Roasting Company roasts in small batches, and staff taste throughout the importing and roasting process to guarantee a flavourful aroma and taste. Flavour is definitely the focus here, and you can try different tastes from Honduras (blood orange, black cherry), Costa Rica (honeysuckle, sea salt, sugarcane), Rwanda (nutty, sweet, and stout), and Peru (baked cookie caramel) just to name a few. 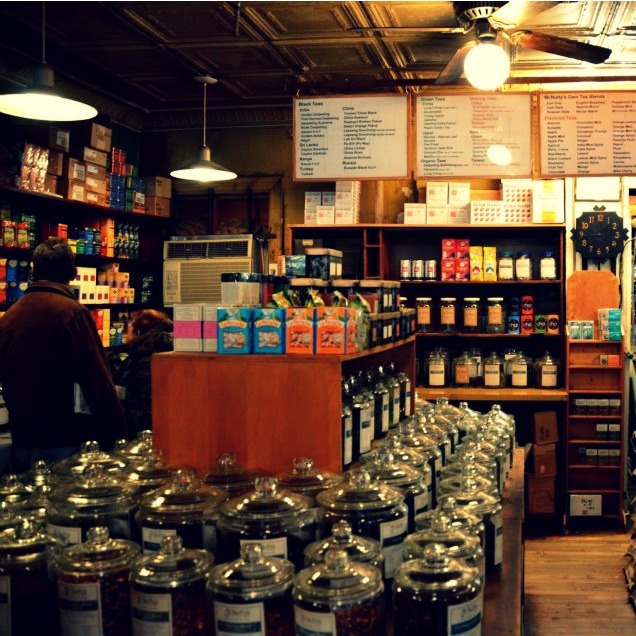 This coffee and tea shop is a long-time staple of the West Village. The tiny shop (you’ll find that the main space also serves as a store room with bags and bags of coffee and tea piled under the display tables) has the most delicious aroma when you walk in, and you’ll often find yourself scooting around people in the one-lane walkway around the main display. The owners of McNulty’s are extremely knowledgeable and helpful and they weigh your loose tea or coffee beans in antique-looking scales placed throughout the shop. You’ll find a variety of coffee selections from around the world as well as their own blends. Eager to head to NYC and taste these brews? We’ve got you covered!